Prime Minister Narendra Modi and his Mauritian counterpart Pravind Jugnauth also agreed to work together on proposals for partnership projects in the critical areas of health, disaster management and energy, according to an official release. A number of cultural initiatives were also discussed. “The Mauritian PM wants to hold a Geeta Mahotsav in collaboration with the Haryana government,” said Awanish Awasthi , Additional Chief Secretary, UP government, addressing the media on Tuesday. Jugnauth is also eager to hold a Bhojpuri Mahotsav in his country. “This is a great initiative as the Bhojpuri spoken in Mauritius is the one that used to be spoken in India several decades back,” Awasthi added. The leaders, who are in Varanasi to attend the Pravasi Bhartiya Divas conclave, also discussed ways to expand further cooperation in areas of Blue Economy and collaboration in Africa. 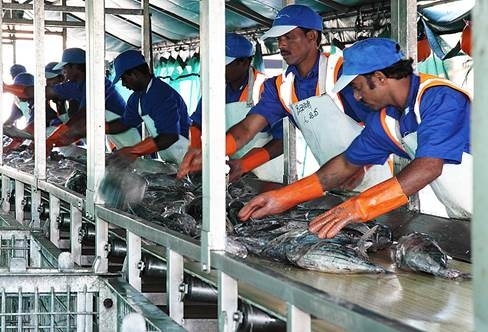 Mauritius is keen on signing a CECPA with India, which will lower or eliminate tariffs on a number of goods, as it sees scope for exporting items such as textiles and marine products. On Monday, the Mauritian PM met Commerce & Industry Minister Suresh Prabhu and the discussions were focussed on the proposed CECPA, according to a government official. Although for India, the scope for increasing export of goods will be limited, it could gain if Mauritius allows more access to its service providers. India can also make inroads into third markets through the proposed trade pact. Mauritius is also a beneficiary of the Generalised System of Preferences offered by Japan, Norway, Switzerland, the US, and the customs union of Belarus, Kazakhstan and Russia. It is a FTA member of the Common Market for Southern and Eastern Africa and the Southern African Development Community. Jugnauth will visit Prayagraj on January 24 for the Kumbh Mela and then go to Mumbai to inaugurate the wholly owned subsidiary of State Bank of Mauritius (SBM). In December 2018, SBM became the first foreign bank to receive a licence from the RBI to set up a universal banking business in India through the wholly owned subsidiary mode, rather than as a foreign bank branch. He will attend a bilateral business forum on January 25 in Mumbai.